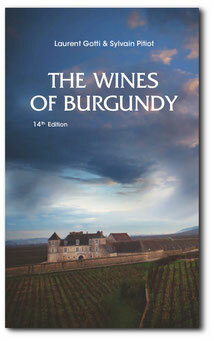 The wines of Burgundy: the best-selling work translated in 5 languages! 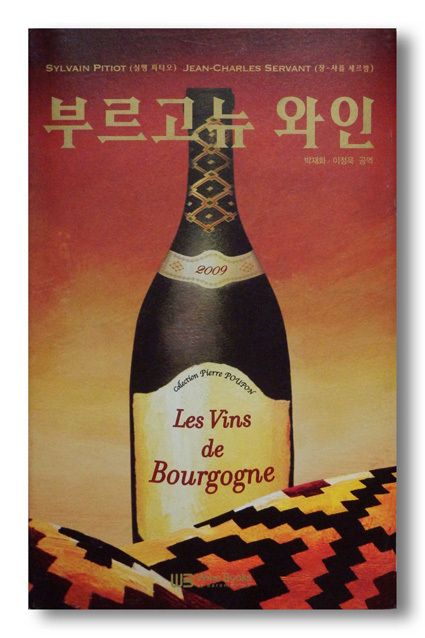 The Wines of Burgundy has reached 250,000 copies sold worldwide and is the reference book on the subject. 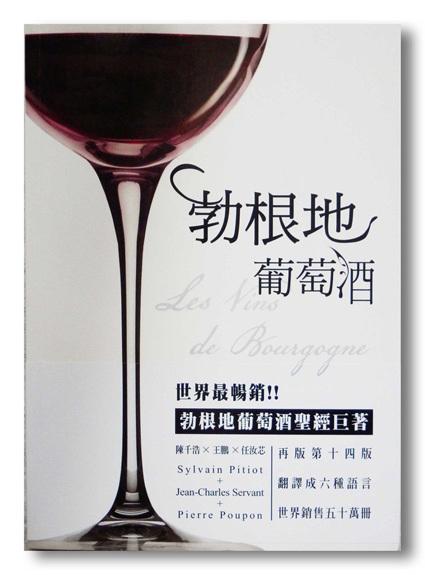 This book gives you clear and precise details that are necessary to get a good knowledge of Burgundy and Beaujolais wines. This handbook is essential reading for wine lovers, students and professionals. The vineyards, the vine growing techniques, their terroir and geographic location with maps, the wines, their appellations, the winemaking and selling process , the pleasure of tasting, the drinking know-how, the wine festivals… all this will be explained to you by Burgundy wine professionals! 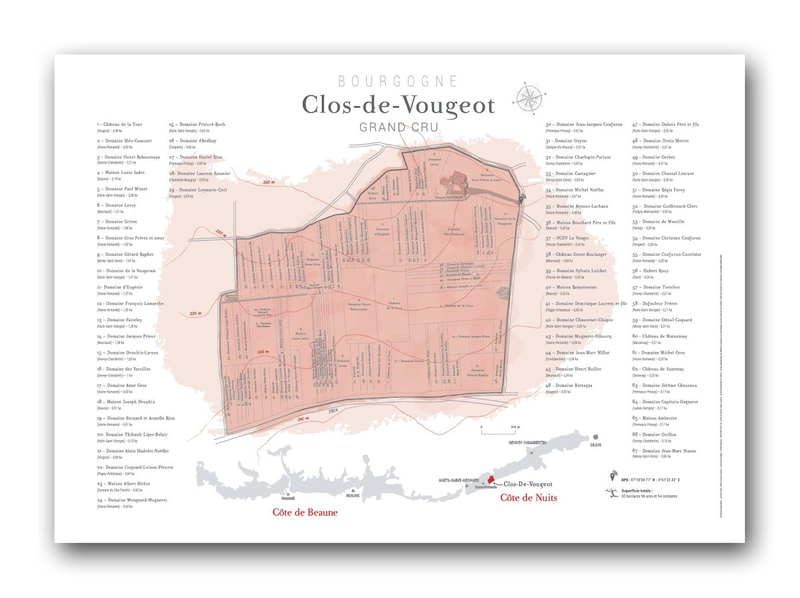 The names of the Burgundy climats have travelled all over the world: Clos de Vougeot, Montrachet, Corton, Vosne-Romanée, etc. They were successfully registered in Unesco’s World Heritage List in 2015. This book is entirely devoted to this subject. It reveals all the secrets on the climats and lieux-dits’ origin and meaning, enabling you to improve your knowledge about the history and way of life of men who have modelled this land for over 2,000 years. Thanks to their work and understanding of the places, they have turned this land into an exceptional vineyard. Having a comprehensive view of the terroirs diversity is the dream of any wine lover. This dream can come true thanks to these three wall maps of the Côte de Beaune, the Côte de Nuits and the Côte Chalonnaise. You get an overall view of the vineyard as your eyes follow the paths taken by the vignerons as they go to work on the vines. 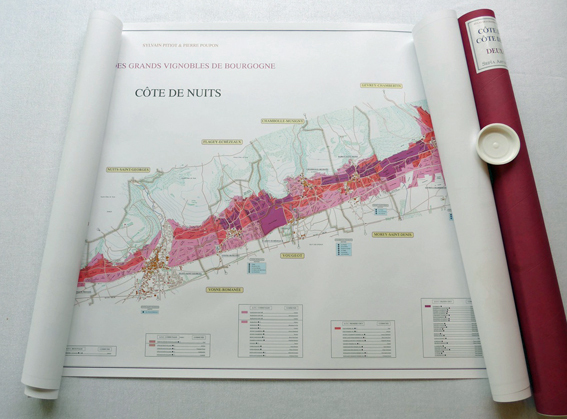 The colour code used to identify the wines, the appellations, and the precise outlines of the lieux-dits makes it very easy to read these wall maps. 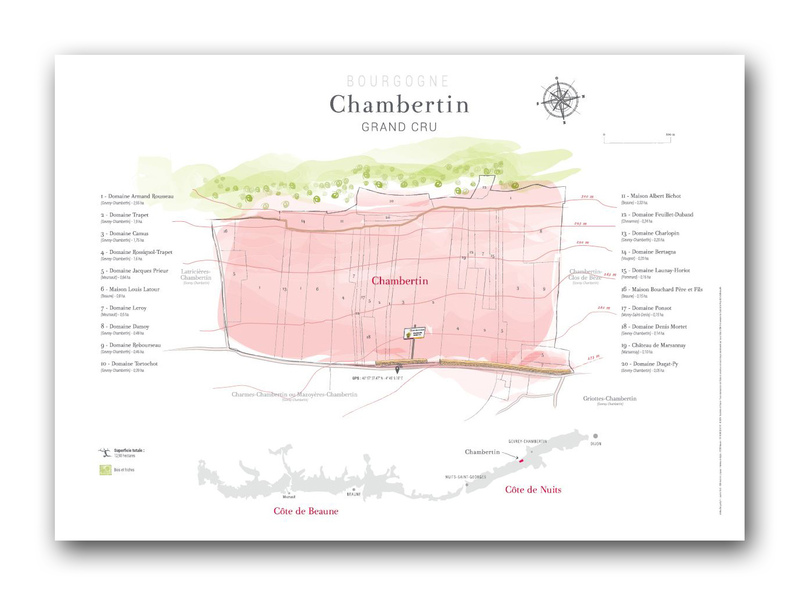 Wall Maps of Romanée-Conti, Montrachet, Chambertin, Clos Vougeot parcels,etc. 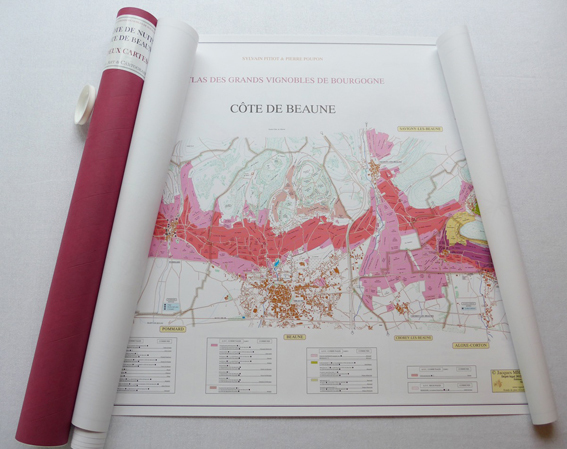 These very precise maps, based on the official land registry, offer the reader a journey deep into some of the most famous Burgundy "Climats". They give a complete list of the producers, naming each parcel they grow and giving the surface area of every single plot. 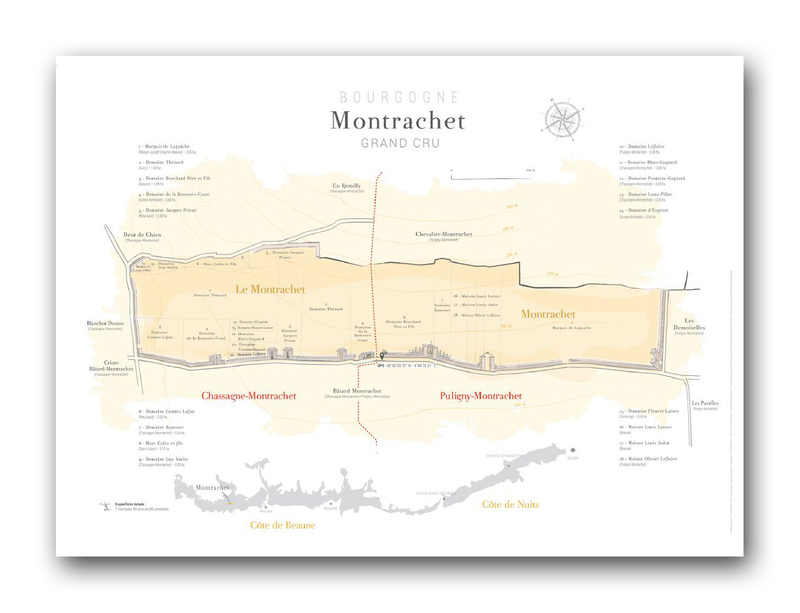 At first glance, you can locate the place where the Romanée-Conti estate grows its vines in the Montrachet appellation for example, or else where the Armand Rousseau domain’s parcels are situated in the Chambertin appellation etc. 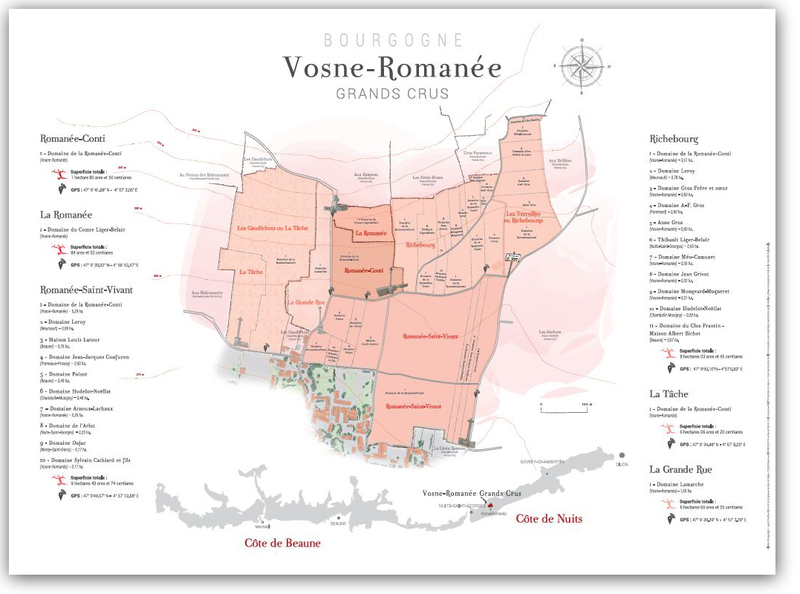 5 maps are available: Vosne-Romanée grands crus*, Clos de Vougeot, Montrachet, Chambertin, Meursault premier cru Perrières. 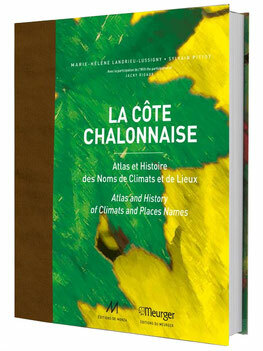 La Côte Chalonnaise, Atlas and History of Climats and Place Names. 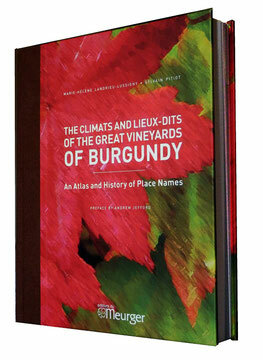 A story of Mercurey, Givry, Montagny, Rully and Bouzeron told through the maps and names of their 561 Climats. 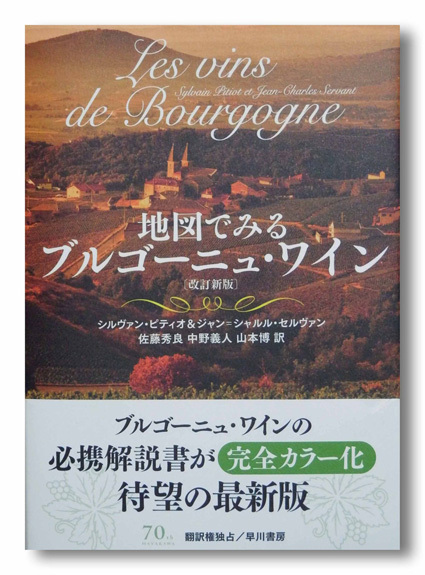 A unique book that gives precise details about a rocketing vineyard. 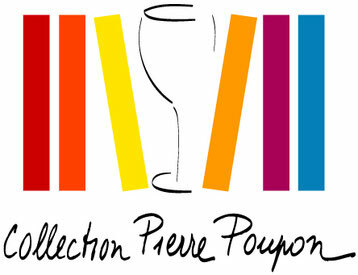 The Côte Chalonnaise connoisseurs can rejoice: they will find here a book that crowns the steady growth of this charming vineyard whose accessibility has attracted numerous wine amateurs for several years now. 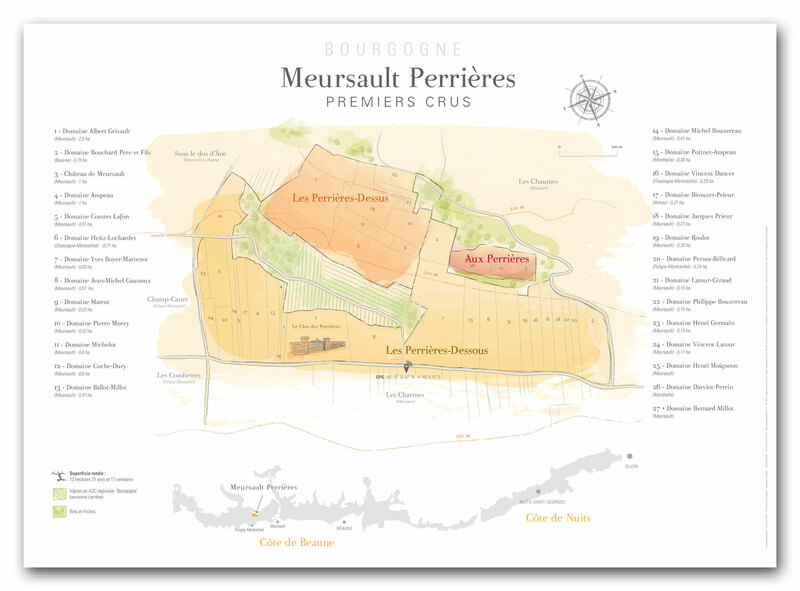 Sylvain Pitiot, wine consultant and cartographer, offers the reader detailed maps of the different appellations, along with the precise surface areas for each of their Climats, highlighting the particular features of every single parcel.